Songwriting and You Part 1: Pop Rocks! Awhile back we took a look at the Ibanez Talman 1730AHM, Ibanez’s take on a vintage Strat-style guitar, which you can check out here. Today we’re going to look at the Ibanez Talman 1702AHM Prestige. 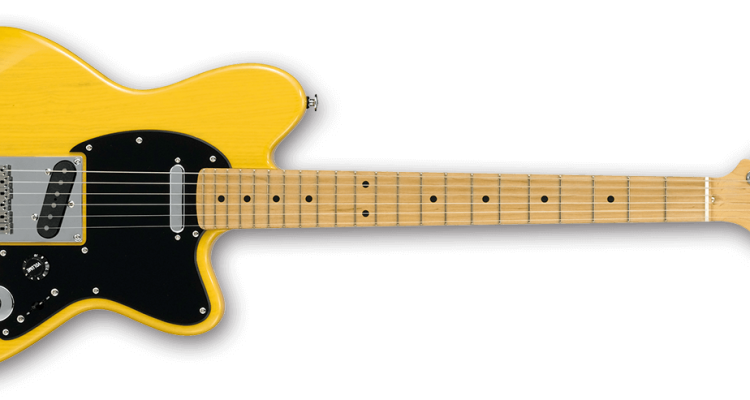 This model leans more towards a Tele than a Strat but can still deliver all of the twang you need. What Ibanez is lacking in catchy names for their guitars, they surely make up for in superb craftsmanship and quality. 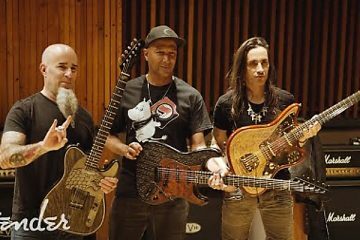 Their Prestige line has been delivering great guitars at an awesome price point years. The Talman series is no different! Differing from the usual super-strat style that Ibanez does so well, The Talman series takes a timeless formula and brings it into the modern age with perfect execution. So let’s see what this sweet ax has to offer us! The first thing to really grab my attention when I picked up this guitar was the neck. The 12” radius was great for grabbing chords but still allowed you to bend as far as you’d need to without the note choking out. This also allows for lower action, which is great if you ask me! The Classic-Plus profile really sits in the hand nicely, reminiscent of a vintage, C-shaped neck. I should note that this neck is considerably thicker than the Ibanez Wizard neck profile, though not nearly as thick as the guitar it is inspired by – a happy medium. 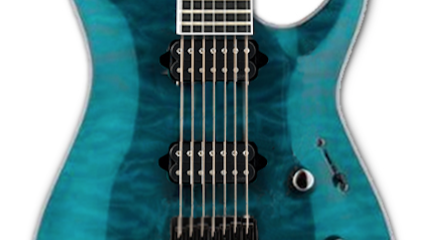 The angled neck-plate and the access cut-away at the body really made upper-fret access a breeze. I would say that the Talman series has the best neck access of any of the vintage-style guitars that I’ve played. The next thing to stand out was the bridge. Giving each string its own individual saddle – instead of having two to a saddle like you sometimes see on Tele-style guitars – was a great choice. This allows for each string to be intonated individually. Couple this with the Gotoh locking-tuners and this guitar has some really impressive tuning stability. Most important though, the bridge is really comfortable. It was immediately obvious to me that Ibanez didn’t cut any corners with the Seymour Duncan Alnico II Pro™ pickups that they put in this guitar. These pickups can handle the twang for days, and I was surprised at how versatile they were. 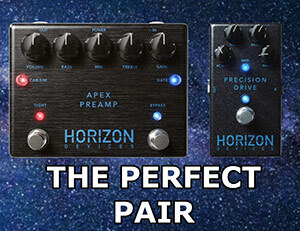 They handled higher gain fairly well, and delivered the sparkly cleans with ease, but they truly shine in the mid-gain blues tones. It took me almost no time at all to get some really warm, full tones out of these pickups. The ash body and the maple neck really help this guitar achieve those twangy, spanky tones that so many people, including myself, seek out. The real miracle here is that it does so without getting harsh in the upper mids and treble region. Not to mention that the ash is a lightweight tonewood, so your back and shoulders will thank you! 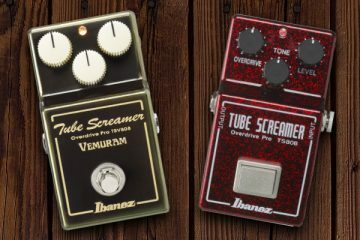 Ibanez has established itself as an industry standard for building instruments that are top-notch in quality. Their Prestige line pushes that bar even higher. 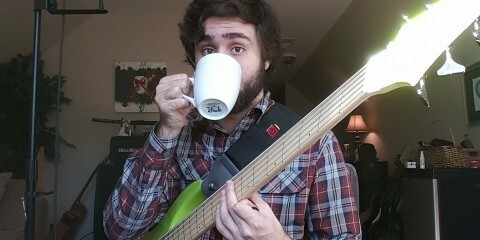 My experience with the Talman has been nothing but pleasant. Not once was I put off by a sharp fret end or a finish imperfection. One thing I always look for in a guitar is that it really feels like it’s worth its price, and I got that feeling with the Talman. The body wood, the neck, the hardware, everything was super solid. It’s safe to say that Ibanez is the reason that Made-In-Japan guitars are held in such high esteem today, and the Talman is a great example of what that kind of craftsmanship can accomplish. The Talman 1702AHM is a great Telecaster-style guitar with loads of great enhancements that truly bring this vintage design into the modern age. Like all guitars, this model isn’t for everybody. But for the people who are looking for a guitar of this nature, I don’t think you would be disappointed, I surely wasn’t. Ibanez really hit a homerun with this one and I’m looking forward to what the future will bring to the Talman line of guitars. If you enjoyed this review and would like to read other like it, click here. 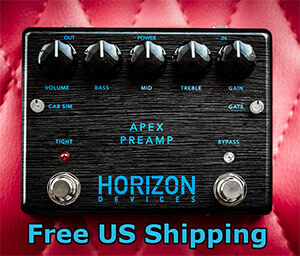 We’re always uploading new gear reviews, guides, lessons, and more! So check back often!